What’s with this way that has the world on a wire? Working for low wages just to get hired? Building up degrees to get iced or fired? Hands out, lifted up, angel wings are the flyers Holy hymns His or Hers? So now on the prophets’ path, peace I pray to find. 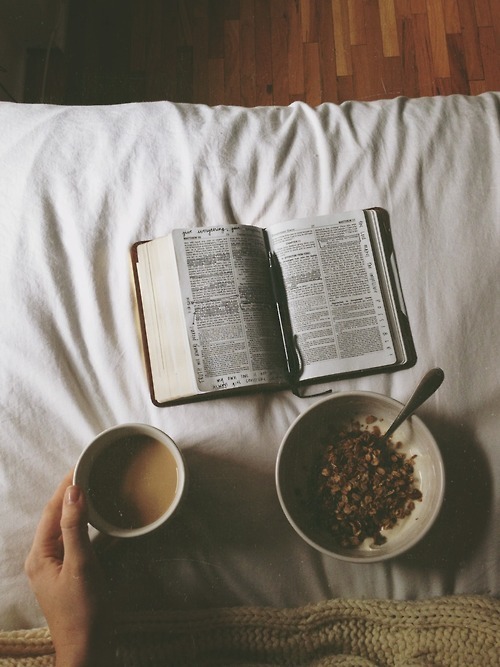 Who are we to judge in whom one finds their joy and pleasure? She fills my heart up, how could I ask for more? Cut the distance between us all, from nowhere to Now Here! Why must war be waged across the land and seas? Life is priceless so how can deaths be the fees? But this is a request, not an order so I’ll finish with a please. I see the crowd of people standing below us looking up at us. And we, the both of us, are looking down, hanging over the thin rail of this giant grey aircraft carrier, we looking down one hundred feet below to the quay, looking down at the crowd. I see so many people looking up at us. I see people waving, I see people waving up at some of us. I see my new wife looking up at me. She is so pretty; her long blonde hair tied with red ribbons and laying on her shoulders in two fetching tails, a look I have loved since we were kids, knowing she only stubbornly wears those two pony pretty tails now to soothe me when I am sad, and still she reminds me she is not a little girl any more. But she will always be my little darling, she will always be that young sweet smelling flower to me, with bright red ribbons in her hair. And she is waving her slender soft hand at me. I feel the salt air of the harbor on my skin and the air feels warm. I can hear the screaming of the crowd, the crowd is screaming up at us. I see a child, a small child waving a flag – an American flag – a flag way bigger than she, the breeze off the bay is wrapping her all up in colorful play, the cloth flapping around her, and the cloth gently slapping her face. The stars and stripes. “How cute,” I am thinking, as she begins to cry. And I can hear the screaming of the crowd, and I can hear the screaming of the sailors all around me, and I can smell the heavy diesel from the ship’s stack blowing down upon us – the strong bite of diesel exhausting and mixing with the salt sea air enveloping me. And I can hear our ship’s loud whistle blast. And I can hear the tug’s two loud chirps. Chugging along aside us to aid us in our departure – chirping in their sharp retort to our monstrous moan. And I can see the sailors on the dock below us uncoiling the thick white twisted lines of rope off the heavy, strong, thick stanchions and throwing us off – we are no longer secured to land. And we start our year long voyage into the strange waters of the world, sailing across the wide blue Pacific and passing into the far off unknowns of the Orient. And I can hear again the loud mournful horn of our ship and I can hear the quick spirited chirping shrill returns of that culpable tug below. And as I lean further over the ship’s thin rail I can see two large tugs below churning aside us in the bay, struggling mightily to push us off. And we are underway…beginning our passage. And I can hear the crowd screaming as the pier recedes into the bright sunshine. 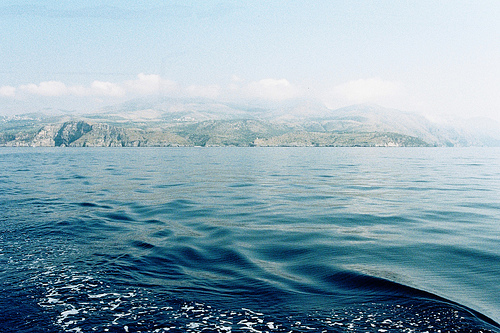 And I can hear the sailors screaming as we float away into the bright sunshine. And I can hear again the ship’s loud, mournful moan. And I (fear) feel we will be gone forever. And I can taste the diesel on my tongue, the clinging filmy oily exhaust coating my mouth. And I can see my pretty new wife; I look at my new wife waving at me. Her long blonde hair is loose now, her beautiful long tresses are billowing free in the bay’s rising breeze, and the red ribbons from her hair are now in her hand, and she is waving her red ribbons and the ribbons are reminding me of colorful ribbons of streamers thrown from an ocean liner in long ago days. And as we slip away from the pier our last connection is torn apart…finally lost. The once taut and now limp remnants of colors will not hold us together any more, and the ship is turning and putting out to sea. And I think I perceive an odd troubling smile forming on my lovely’s pretty face. Is she crying? She is so far away. And I can hear Booker next to me – he is whispering something in my ear, he seems to be whispering something important, as he hisses with a force of authority I am surprised to hear. I know he has been on one of these long voyages before, and so I try to listen, no matter his minor rank. “Mr. Welch,” he whispers in my ear. And I am leaning closer into him now in order to heed his words. And I can sense Booker is telling me something imperative for the journey we are about to take. And I am happy to hear that. And I can taste a bitter pill of betrayal breaking apart in my mouth. 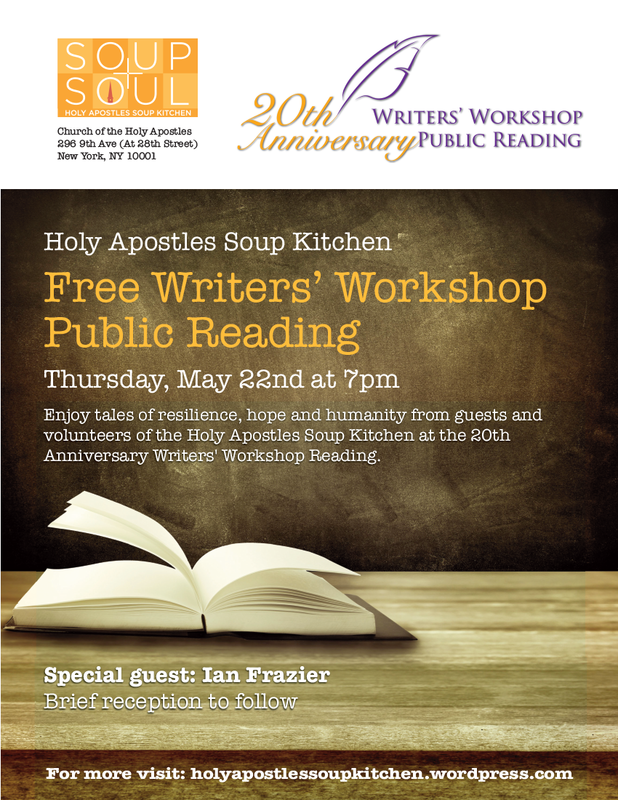 We invite you to support our soup kitchen guests – and to hear some wonderful new work – by attending the 20th annual Writers’ Workshop Public Reading on Thursday, May 22, at 7pm in the landmark Holy Apostles church. Join us and Ian Frazier, special guest and founder of the writers’ workshop, as our guests showcase their creativity and tell their stories of resilience, hope, and humanity. Aside from offering a hot meal, our social services center, and other programs throughout the week, we welcome outreach tables from other organizations into the soup kitchen each weekday to provide valuable resources for our guests. One of our newest resources is nutrition advice provided by Jannie Wolff, Community Educator for Cornell University Cooperative Extension. Jannie has been coming to the soup kitchen every Tuesday to provide health tips and keep our guests healthy and knowledgeable. Many health conditions are particularly prevalent among homeless and low income individuals, including diabetes, high blood pressure, and obesity. Holy Apostles provides nutritious meals for our guests, by offering fresh fruits and vegetables and whole grains. But many of our guests rely on other soup kitchens and food pantries for other meals. Other soup kitchens around the city don’t have the same focus on nutrition, and many of our guests don’t have full kitchens to prepare healthy meals throughout the week. Jannie has been teaching about health and nutrition through Cornell’s Cooperative Extension since 2009, and has heard a lot about Holy Apostles. 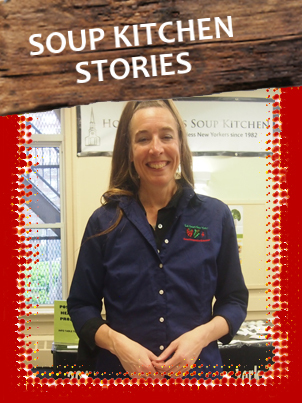 “Holy Apostles Soup Kitchen is fantastic. I’ve heard such great things about it, so I wanted to come and help out here,” Jannie says. Wondering about some simple tips? You may not realize that processed lunch meat is loaded with sodium. And while a salad is a healthy choice, some salad dressings are very unhealthy. Also, portion size can make all the difference between a healthy meal and a horrible one. “Whatever situation you’re in, you can eat healthy. A lot of people coming to soup kitchens feel hopeless and like they can’t do anything about their health. I give them hope and help them realize that they can find ways to eat healthy,” Jannie says. on the way to this poem. drunks to bartenders late at night. about hanging out the wash.
to give me the dry heaves. Mama told me there’d be days like this! I’d only lived with my mother until I was three, then divorce and my dad got custody. There were few visits until I decide to visit her. It was 1955; I was 15 and rarely far from home, which is hardly the case with today’s 15 year-olds. So my brother put me on a bus from Paterson, New Jersey, at the new Port Authority Bus Station in New York. I had been 11 when I last saw my mother, still chubby, round-faced not really tall; by 12 all that changed, I was nearly my present height, and slim! We took another bus to Preakness – no.88, I remember, and my Mama told me so many things about what I’d see on the farm when I met her husband Sam, and my half-sister Bonnie – now nine. I had a wonderful time! I will skip ahead many years, far beyond when Mama (“Peggy”) told me her side of the divorce story, since I’d only heard Dad’s – what daddy told me. I knew, even as a child, there could not be just me dad’s side of it. 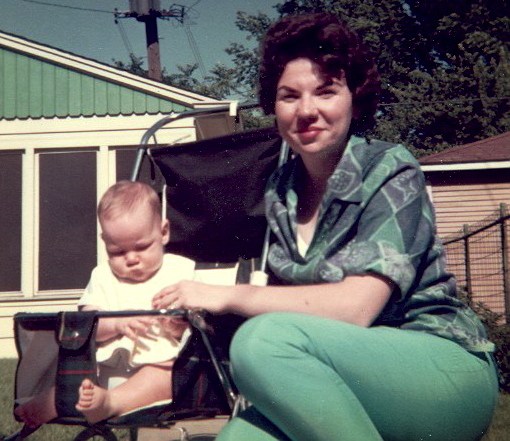 Nineteen eighty-four, I was 44, my mom nearly 71. We’d had our problems through the years, as children, teens ect. with parents, except I never had as much time with my mother in resolving them – except correspondence where you have delays of reaction, thus having the other party know where you stand, and you knowing where the other party stands, exchanging feeling, making amends, ect. Mama told me I could come down for a visit (she lived in Florida) and for me to suggest when. I chose Mother’s Day week – May 10-17, 1984 – flying down on a Thursday due to heavy air traffic volume, high airline fares, ect. I’ll never forget that week I had with my mother – Mama telling me many things (and me telling her many things) especially that she loved me. I did not know it would be the last time I’d see her. She had something else to tell me, but not in words, in other ways, obviously. Why did she wear all white that week except the night I left for home, when she had on an aqua blouse? I had taken the very best pictures of her ever, also not knowing they would be the last. At the airport, as I was heading toward the entrance, I turned around, waved, and blew a kiss goodbye. She had the most melancholy look on her face – that wistful smile of hers she was known to have. I went back to ask her what was wrong. She was a good actress, her husband Sam had told me. Well my Mama told me then, “Oh nothing – great time we had – now don’t you miss your plane!” People’s Express it was. It was my Mother’s day goodbye. I’d never see her again – what Mama could not tell me was “I’m dying” The plane in the air, I realized it over many drinks. My whole life flashed before me, all my memories of Mama. In June I sent Mama a new flower-print bathing suit – one piece guessing her size as 14. Well, it was 12! I phoned her, asked if she got it. “Fits like a glove.” This was my dad’s 74th birthday, three days before Mama died. I asked her how she was doing, “I’m working on the country farm painting I showed you.” Then Mama told me, “I take today. I love you – bye-bye.” The last words Mama ever told me. In the springtime, the ground becomes warmer, and bulbs begin to blossom, bursting out of the ground. The mists of grass cover the Earth, and the trees grow bursts of leaves. In nature there is no word to describe how the earth revives except “renaissance.” My body feels alive and energized before the summer begins. 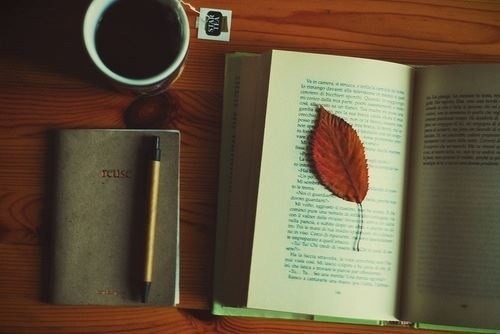 I remember that when I was in school other students did not understand me. They made fun of me throughout my school years. It was very difficult to find conversation partners even though I did have a few friends. I went to my neighborhood high school Franklyn K. Lane which was nearby and easy to walk to, before I transferred to a private school for disability people who have a learning problem. The school was in the city so I spent a lot of time commuting. After I graduated, the school was converted into apartments. During the last two years of high school I had opportunities to be in dramatic musicals. In my junior year I was one of the Jets in West Side Story, and in my senior year I was one of Fagin’s boys in Oliver Twist. 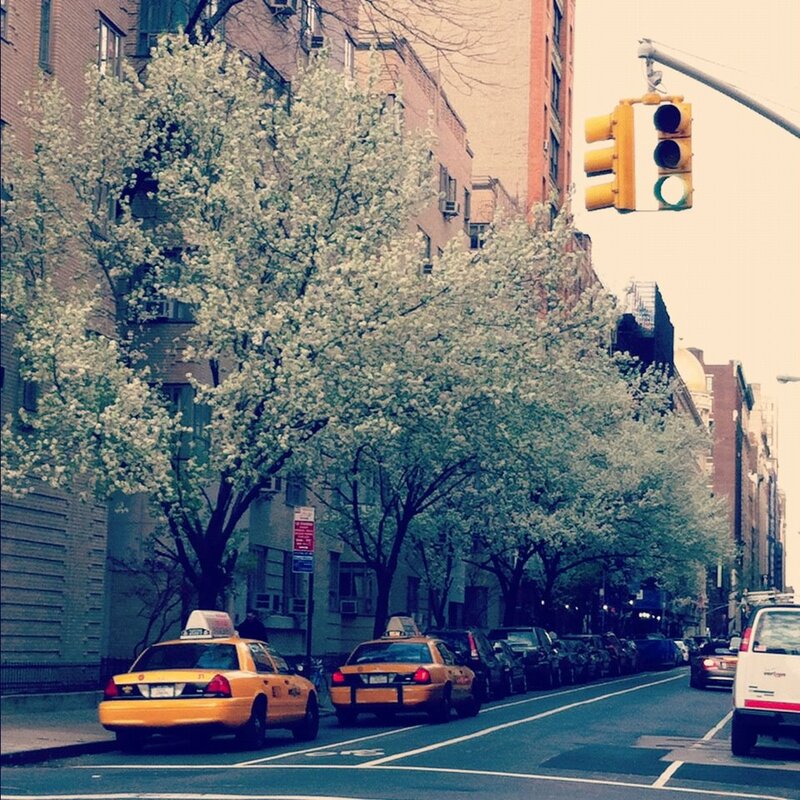 These plays took place during the springtime blossoms, and I felt good about them. I guess I had spring fever at springtime that year.